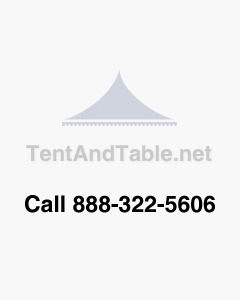 Our White High Peak Frame tent tops are one of our most stylish styles. These single-piece vinyl frame tent tops are manufactured with our best quality 16 ounce block-out, flame resistant vinyl that is 100% waterproof. That same vinyl is resistant to UV light, tears, mold and mildew, putting these tent tops among the finest available on the market today. All our seams are heat sealed and overlap by at least 1 inch for increased strength, durability and most importantly, longevity. Whether you need to replace and old, worn out tent top or just want to spruce up your rental business with a fresh look, these High Peak Tent Tops are going to deliver.